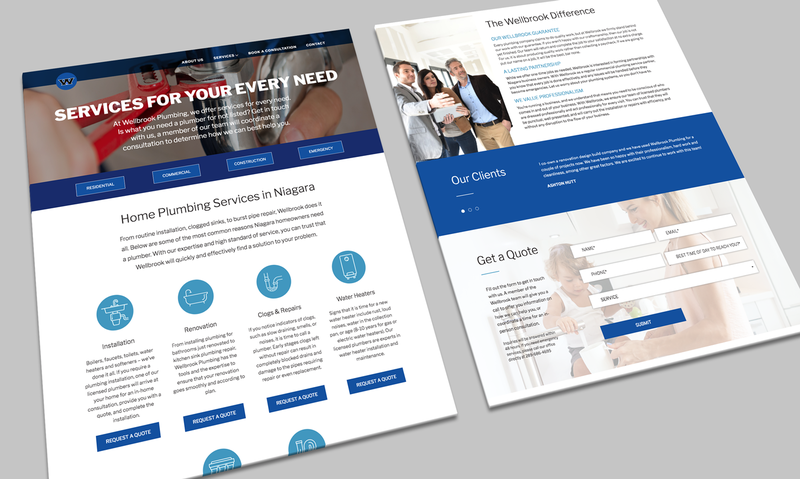 Elevated branding and web design positioning Wellbrook as Niagara’s go-to plumbing service. Wellbrook Plumbing has been serving the Niagara Region, working with homeowners, business owners and contractors to offer everything from routine to custom plumbing services. H&C Inc. delivered a new website design and development supported by a strong SEO strategy to drive organic traffic to the site, and an equally strong conversion strategy to fill their lead pipeline. 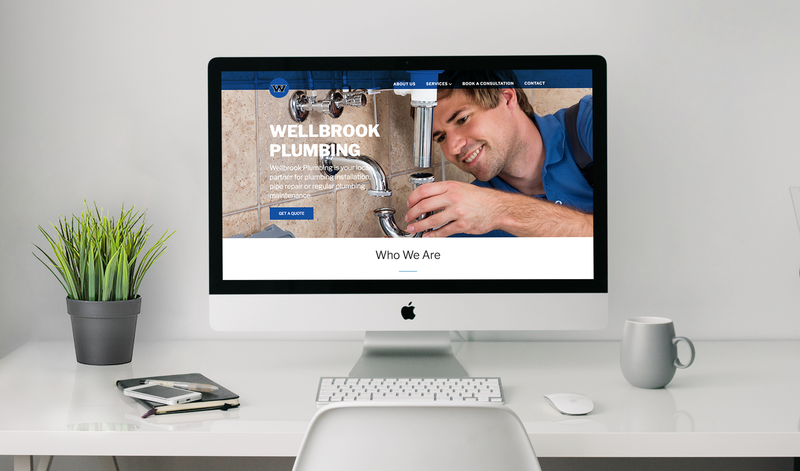 Wellbrook Plumbing's website now positions the company in the high end market for plumbing services, showcasing their sophistication of services and scale of capabilities. Where their previous website lacked in content, the current website more than makes up. The content-rich pages are SEO focused, driving organic traffic and increasing the website SERP ranking. 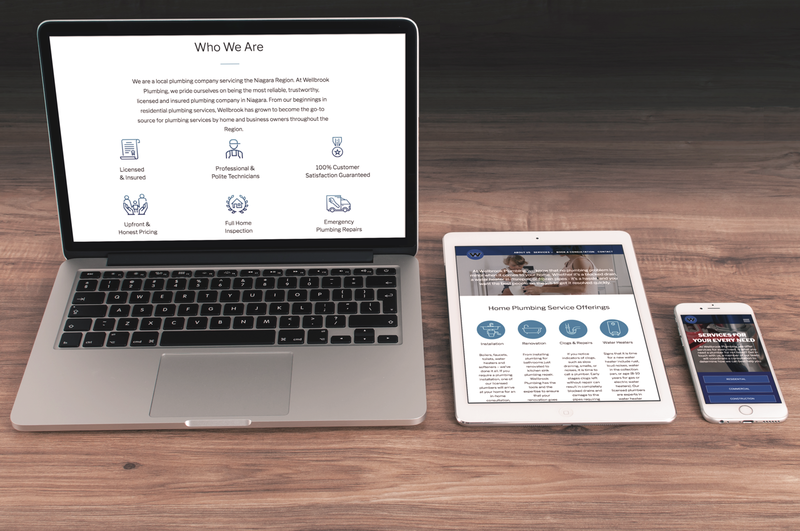 Wellbrook is a company positioned for growth, and their website can officially keep pace. This growth driven design was created with service and team expansion in mind, ready to scale as quickly as the business does.